It’s natural for us to assume that the Great War was not just a formative experience, but the formative experience for anyone who fought in it. We also tend to assume that the experience was disillusioning at best, and psychologically ruinous at worst. The truth is, unsurprisingly, more subtle and varied. No corrupt sergeant majors stole my rations or accepted my bribes. No incompetent colonels failed to give me food or lodging. No casual staff officers ordered me to certain death, indifferent to my fate. Carrington’s memoirs are given below, but you can also see a television interview with him on BBC iPlayer here. That’s not to say that his account lacks interest; in fact, it’s striking and even memorable in the very passages where he is saying that he doesn’t recall it clearly. I was a futile officer (they gave commissions too easily then), a puppet moved about by him [his platoon sergeant], and he turned this ridiculous and painful relation into something beautiful, became to me almost a father. But for the rest, the war—the frights, the cold, the smell of H.E. [high explosive], the horribly smashed men still moving like half-crushed beetles, the sitting or standing corpses, the landscape of sheer earth without a blade of grass, the boots worn day and night till they seemed to grow to your feet—all this shows rarely and faintly in the memory. 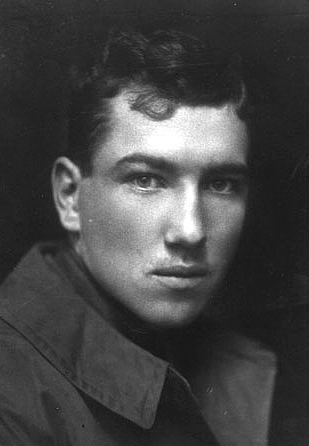 Robert Graves, poet, novelist, scholar and memoirist. He served in the Royal Welch Fusiliers as a junior officer for much of the war. Money had nothing to do with its class system. It was not (thank Heaven) the boys with the threadbare coats who became Punts, nor the boys with plenty of pocket-money who became Bloods. According to some theorists, therefore, it ought to have been entirely free from bourgeois vulgarities and iniquities. Yet I have never seen a community so competitive, so full of snobbery and flunkyism, a ruling class so selfish and so class-conscious, or a proletariat so fawning, so lacking all solidarity and sense of corporate honour. What struck me most was the similarity between Lewis’s and Graves’ exceptions. Lewis’s was an Irish earl. But then he was an exception to all rules; not because of his earldom but because he was an untameable Irishman, anarch in grain, whom no society could iron out. He smoked a pipe in his first term. He went off by night on strange expeditions to a neighbouring city […] for harmless rowydyism, low life, and adventure. He always carried a revolver. I remember it well, for he had a habit of loading one chamber, rushing into your study, and then firing off […] all the others at you […] I felt at the time, and I feel still, that this (unlike fagging) was the sort of thing no sensible boy could object to. It was done in defiance both of masters and Bloods, it was wholly useless, and there was no malice in it. I liked Ballygunnian; he, too, was killed in France. Graves’ rebel also had a title, but was English (I think; his name hints otherwise). A boy whom I had admired during my first year at Charterhouse was the Honourable Desmond O’Brien: the only Carthusian of that time who cheerfully disregarded all school rules. Having cut skeleton-keys for the library, chapel, and science laboratory, he used to break out of the House at night and carefully disarrange things there. O’Brien had the key to the Headmaster’s study too and, entering one night with an electric torch, carried off a memorandum which he showed me: ‘Must expel O’Brien.’ He had a wireless receiving-station in one of the out-of-bounds copses on the school grounds; and discovered a ventilator shaft down which he could hoot like an owl into the library without detection. Once we were threatened with the loss of a half-holiday because some member of the school had catapulted a cow, which died of shock, and nobody would own up. O’Brien was away at the time, on special leave for a sister’s wedding. A friend wrote to tell him about the half-holiday. He sent [headmaster] Rendall a telegram: ‘Killed cow sorry coming O’Brien.’ At last Rendall did expel him for having absented himself from every lesson and chapel for three whole days. O’Brien was killed, early in the War, while bombing Bruges. The truth is that organised and compulsory games had, in my day, banished the element of play from school life almost entirely. There was no time to play (in the proper sense of the word). The rivalry was too fierce, the prizes too glittering, the ‘hell of failure’ too severe. From a distance it’s easier to appreciate how joyless so much of school is, now as much as ever despite the great changes in education. At least Graves and Lewis weren’t tested and graded and assessed continually from the age of seven. It’s common to attribute the cynicism, disaffection and radical politics of the inter-war period to the effects of the Great War, and it’s hard to deny that it left its mark. Given similar experiences in other countries, no specifically British cause seems likely. However, Lewis makes an interesting suggestion, that the public schools made a powerful unintended contribution. For the last thirty years or so England has been filled with a bitter, truculent, sceptical, debunking and cynical intelligentsia. A great many of them were at public schools, and I believe very few of them liked it. Those who defend the schools will, of course, say that these Prigs are the cases the system failed to cure; they were not kicked, mocked, fagged, flogged, and humiliated enough. But surely it is equally possible that they are the products of the system? That they were not Prigs at all when they first came to their schools but were made Prigs by their first year, as I was? For, really, that would be a very natural result. Where oppression does not completely and permanently break the spirit, has it not a natural tendency to produce retaliatory pride and contempt? We reimburse ourselves for cuffs and toil by a double dose of self-esteem. It was supposed to be ‘character building’ rather than strictly educational, and so it was, if not always as intended. 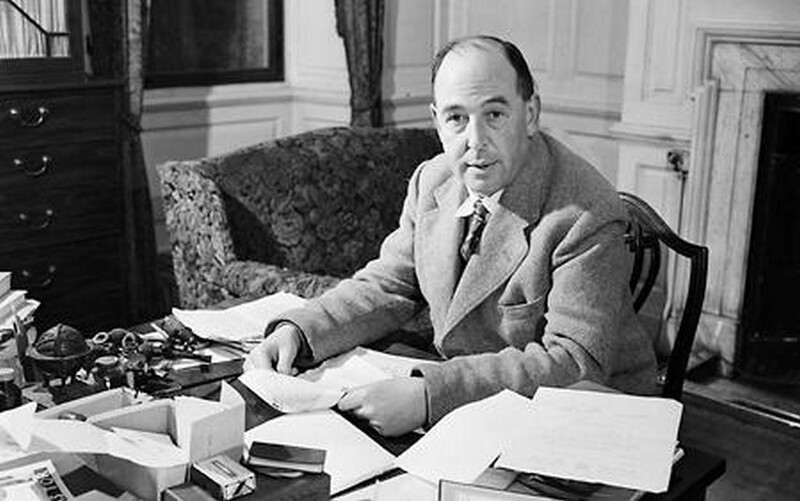 I’m not sure that the old-style British public school education has been sufficiently appreciated as a twentieth century cultural phenomenon and political influence, outside of complaints about the old boy network and the like. This is despite its persevering nature. Prince Charles is said to have described his Scottish public school as ‘Colditz in kilts’, while in 1991 British businessman Roger Cooper, on being released after five years in an Iranian prison, more than half of which was spent in solitary confinement, joked that ‘Anyone like me who has been educated at an English public school and then served in the ranks of the British army is quite at home in a Third World prison’.